Thank you to all who have taken little steps to change the world in our first 2 years. And thank you to all who have supported fairandfunky – by shopping with us, joining in our events, giving advice and business support, attending our workshops and in many other ways. Thank you! 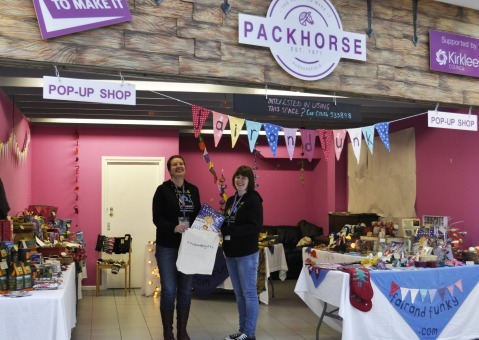 In the last year fairandfunky has worked with lots of schools and organisations, held events and hosted the first fairandfunky pop up shops – so this week our blog shares our second year highlights with you! We begin in June last year with the ‘Holmfirth Driftwood’ project. In association with Holmfirth Arts Festival, we worked with 9 schools to create GIANT postcards using recycled materials. 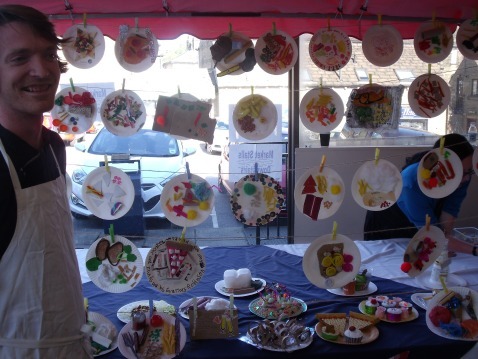 Each school had a different theme and postcards depicting the river, the people, the buildings, the mills, the landscape, the shops, the tourists, the hidden and the imagined seaside of Holmfirth were exhibited in shops throughout the festival. Next month we work with the festival again; running a special workshop: ‘Imaginariums’ – join us! 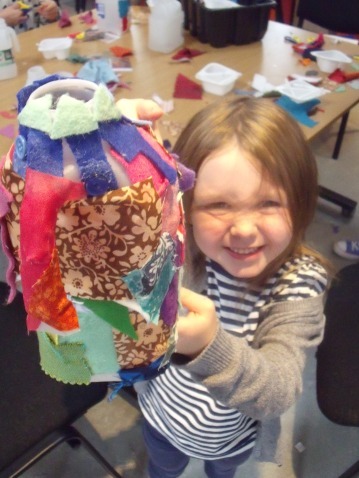 During July we led a number of summer drop in workshops with The Co-operative, Kirklees Markets, festivals and with Rochdale Co-operative Museum. 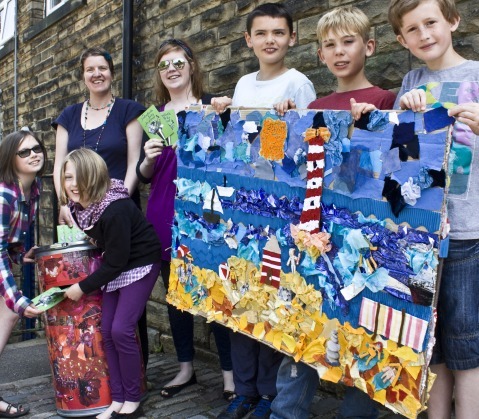 We were thrilled to be part of their summer programme of events creating ele-planters from recycled milk cartons, co-operative shops from cereal boxes and more! Taking part in Summer School at Rastrick High School was a great opportunity for fairandfunky and we’re looking forward to returning this Summer too. For a week we worked with brilliant children in special workshops empowering them to take their own little steps to change the world. “Street Paper” was a particular favourite and brought out lots of enterprising skills and discussions. In September we hosted the fairandfunky family FOOD day with Holmfirth Food Festival – over 25 stalls filled Holmfirth Market Hall showcasing ethical independent businesses in the area. fairandfunky led workshops and hosted a schools competition to design a fairandfunky feast using recycled materials: a tough job for the judge! One World Week always happens in October and we celebrated with a café and ethical market in Holmfirth. People were invited to put their name to four pledge trees which generated much discussion on global issues with Jason McCartney MP and other shoppers. This year we will be focussing on the rice challenge from Just Trading Scotland: watch this space! visit our online shop ANYTIME! Through till Sunday 18th May there is FREE POSTAGE with code HAPPYBIRTHDAY on checkout. Did you see our Christmas Countdown on facebook and twitter during December? We were well ahead of the game with our A-Z of Christmas Selfies!! B was for Bird Bauble! 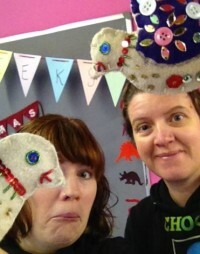 In January we were busy with schools workshops and fairandfunky after school clubs. We always use recycled materials found around the home at after school club to encourage participants to reduce, reuse and recycle themselves. We’ve made scrapbooks from old paper, mobiles from food packaging, piggy (recycled bottle) banks, paper jewellery and much, much more! 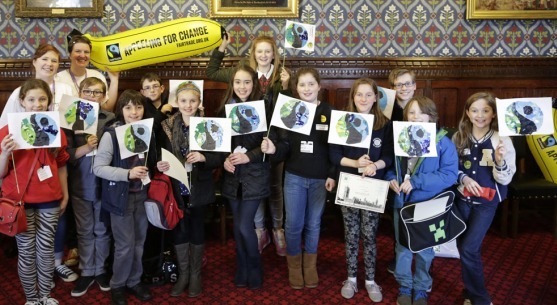 During February and March we celebrated Fairtrade Fortnight with workshops in the Houses of Parliament with 50 MP’s and three schools from Yorkshire. 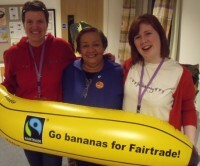 We had a brilliant day and put Fairtrade on the agenda of all who attended. We featured in the blogs of almost all of the 50 MP’s who attended the event! Our schools workshops are very popular and we are fast becoming the go-to organisation in the area for workshops on Fairtrade and sustainability. 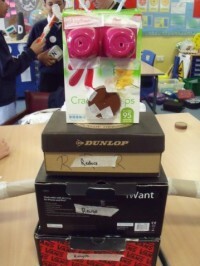 Our ‘Change The World With An Egg Box’ workshop combines literacy, design and technology, citizenship and enterprise skills. We are always impressed by the ingenious machines participants create to Change The World – this ‘Ro-box’ is a recent favourite! 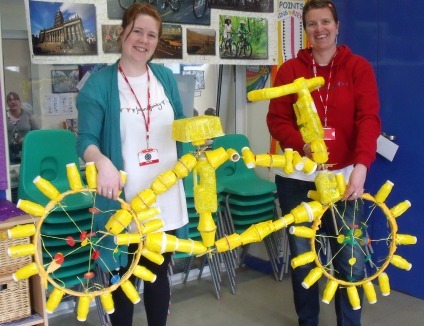 As we enter this month our highlight already has to be our reCYCLE workshops for Le Tour. We’d love to hear your fairandfunky highlights of the last year too! Tweet us @fair_funky or share your thoughts on facebook and tell us how you have taken little steps, with fairandfunky, to change the world!